Distilling allegedly took place on the site of the modern Tomatin distillery long before the official founding, with just 2 stills, in 1897. We know it went bankrupt in 1906 and was reopened under the name of the Tomatin Distillery Company in 1909. In 1956, the company must have expected a boom because a two decade period of slow expansion followed and by 1974, Tomatin had 23 stills producing 12 million litres, the largest in Scotland at the time. Notably, the maltings were also removed in the same year to make room for warehouses. Unfortunately the company fell on hard times and went bankrupt in 1985. Along came the enterprising Japanese and the next year the Takara Shuzo Company and Okara Company purchased the distillery, making a historical first change of ownership of a distillery from Scottish to Asian hands. Of course, this is nothing new today. Tomatin’s malt has always been a major blending constituent and though there is a lot of it around, it is not commonly bottled under its own name. However, there has been something of a change in this regard recently, and modern expressions of the malt are available from big retailers. Old photo of Tomatin – already it looks so very industrial. Nose: Rich & aromatic sherry – dark fruit, old leather, wood wax – but also a big sweetness. Lots of crystalized ginger and brightly spiced. Scented wrapping paper, stewed pears, maraschino cherries. Quite hot at 51%, water is needed. With water – Gentler. Orange zest and fresh fruit – lots, spice and all things nice. A little dusty too. Palette:Big presence, medium weight, burst of sour fruit, walnuts and wet wood that turns into juicy apple pie flavours, Fades into some black pepper, some madeirized notes bring up the rear. Finish: Long, aftertaste of some fruit dessert. Fantastic elegance and fruitiness. Shows that a blending malt in the right wood with the right aging can hold its own against the best known single malts. 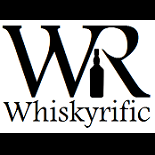 This entry was posted on May 10, 2014 by Whiskyrific in Tomatin and tagged Tomatin.